This contains the files needed to create maps with recon bikes in it. The zip has the Purchase Terminal icons as well. 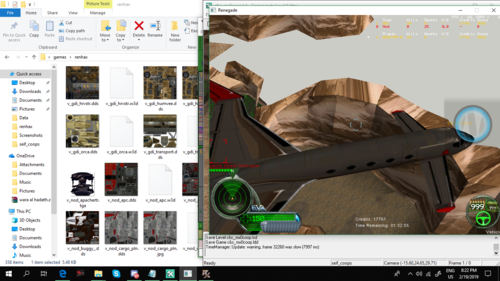 The HumVee with Tow Missles model has been done for Renegade. Just like the HumVee with Tow Missles in Generals but has a GDI skin and a Jungle Skin as an alternate. A GMAX version of the Hum-Vee with Tow Missles for Renegade so feel free to modify it as you see fit.